This article will demonstrate the addition of Automatic Deposit. Many people receive an automatic electronic deposit from their employer, the Social Security Administration or some other source. I will show you how to add the capability to track an automatic deposit, so that it is always recorded in your check register. Figure 1. Here is Tab 0 of the new window I have created so my checkbook register will automatically record my paltry social security check every month. 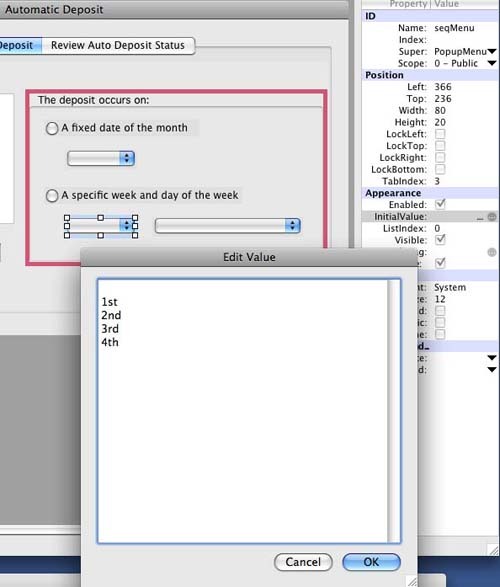 I configure Tab 0 of the autoDeposit window as shown in Figure 1 with a list box, a couple of edit fields and a group box with some popup menus. The only new control is the popup menu, which I'll cover in a moment. Tab 1 is configured as shown in Figure 2. Figure 2. 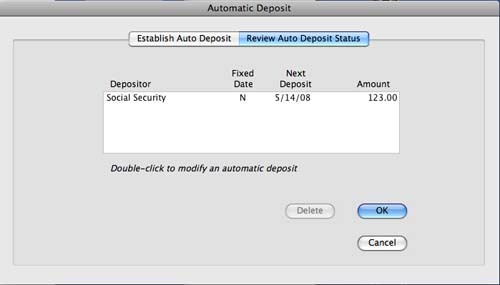 Tab 1 of the autoDeposit window lets me review the status of that social security check deposit. I need a few new variables for my autoDeposit window. In the globalFinancial module I'll define nAutoDeposits as an integer, autoDepList(0) as a string array and autoDepositFlag as a boolean. In the autoDeposit window I'll define autoDepositChangeFlag and fixedDate as boolean. I'll define autoDepositIndex, listSelection and rowSel as integers. The loadDepositorsList method loads the list box in Tab 0 with the same list of depositors that is loaded in DepositWindow. In order to make this operate properly, the variable nDepositors is moved from DepositWindow to globalFinancial. I haven't yet defined what will appear on each of the popup menus, but RB makes it easy. Each popup menu Property/Value table has an InitialValue item. Clicking on its ellipsis reveals a window where the menu labels are entered. Figure 3 shows the InitialValue window for the seqMenu (week of the month). Similarly, the popup menu under the Fixed Date button will list the days 1 through 31 and the day-of-week popup menu will list Monday through Friday. Figure 3. When I set up my automatic deposit I use this pop-up menu to fill in the information the program needs to schedule the deposit. msgBox "You must select the Depositor." msgBox "You must indicate the amount of the automatic deposit." msgBox "You must select a date for the automatic deposit." msgBox "You must select the day for the automatic deposit." This is a very long method but it's not too complex. The first series of if-statements merely checks for errors. Then the data are loaded into the Tab 1 list box (autoDepReview), the Tab 0 controls are reset and Tab 1 is displayed (Figure 2). The only new thing is the call to a method called findAutoDate. This method decodes the date or day of week selections into a real date. Below I describe how to set this up. To begin, two new dates are defined (d and today) and by virtue of them being new, they are set to the current date–the date the method is run. The date d is then set to the 1st day of the current month. If i equals 0, I make d.day equal to j (the list index of the dateMenu popup). Then I test to see whether today's date is greater than d.day. If not, then d will be the next trigger date. Otherwise, I add a month to d using the method addMonth. The other case occurs when a specific week and day-of-week is selected. There are two embedded methods in findAutoDate: addMonth and dayToDate. This is a simple process unless the month is 12 (December), in which case the month is reset to 1 and one is added to the year. This method receives a date, an integer representing the week number and an integer representing the day of the week. Sunday is 1. The method returns the date of the month. This is simply an algorithm that converts a week and day-of-week into a date. It first looks at the relationship between the desired day-of-week and the day-of-week of the first day of the supplied month. That determines offset. Offset is then tested and whether it is positive or negative determines the way the final day of the month is calculated. The rebuildAutoDepList method reloads the string array autoDepList(0) in globalFinancial. This array will be used later when I write the automatic deposit data out to the Preferences file. s = s + autoDepReview.cell(i - 1, 1) + chr(9) // Fixed Date? This method first zeros the autoDepList array and then reloads it with data from the list box in Tab 1. This method first writes the number of automatic deposits contained in autoDepList and then writes each line of the autoDepList array into the preference file. When is an Automatic Deposit Posted? 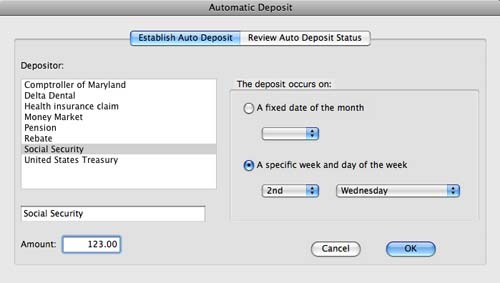 The last thing to do is to test the automatic deposit information when the application opens to see if one of the automatic deposit trigger dates has passed and if so, make the appropriate entry in the check register. The following lines of code are placed in the readDataFile method after all of the data records have been read. This method looks at the trigger date of each automatic deposit listed in the autoDepList() array. If it is less than today's date, a record is built and then added to the check register using the method, addTransRow which you saw in Part 1. The method also calls testEntryDate that was added in Part 5, to insure that the Check Register is kept in chronological order. Lastly, the next trigger date is computed and added to the autoDepList() to be written out to the Preferences file. This concludes this article on REALbasic. The final article will add the coding necessary to start using the CheckRegister with your own checking account.